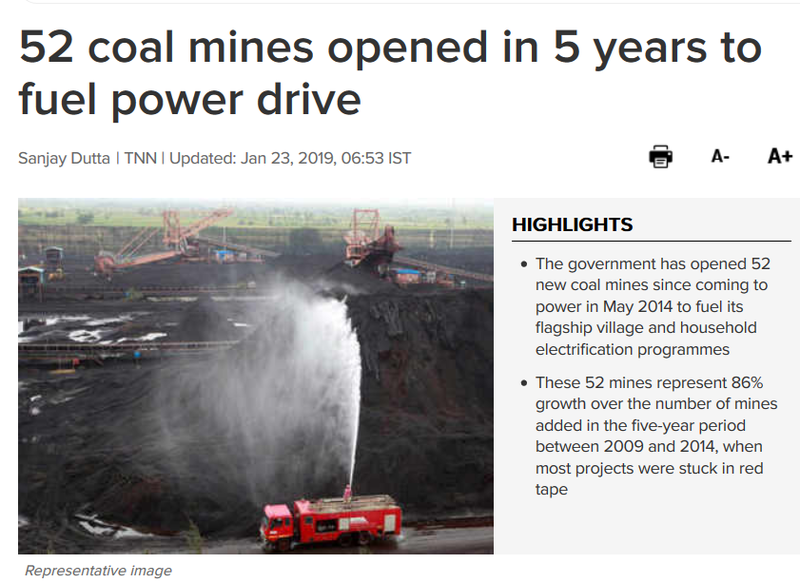 India has stepped up the opening of new coal mines since Narendra Modi took over. Coal production in 2017 amounted to 716 Mt, so the addition of 164 Mt new capacity is clearly a very significant proportion. As we have seen with China, wind and solar simply cannot keep pace with increased demand. There’s on-demand power and then there’s greencr@p. Real people on the ground soon work out which is best. They still lack enough natural gas for heating/cooking, a case study of what could happen in Europe if “greens” get their way. Will the Greenblob stop the vast amount of shale gas that now appears to be within our grasp? It seems to me that those involved are deliberately – and sensibly – downplaying the potential. They are probably waiting for such an energy crisis in the UK that a free hand will be allowed them. Fossil fuels will continue to be used until they are no longer practical. Those countries that choose not to use them will fall behind in all the measures of modern society. It won’t take long for the people to revolt against being forced to downgrade their lifestyle while watching other countries using fossil fuels prosper. It’s happening today…… as in India. What are these crazy units (1st graph)? So for example 10,00,00,000,00,00,000 is ten crore crore, or one padma. No doubt such a number is intelligible if you grow up in a country that uses that pattern of separators. The mid-1930s Rural Electrification Act transformed America. I hope India will have the same success! 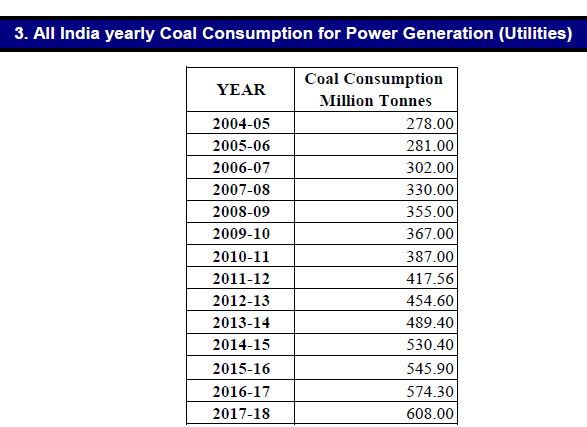 Annual coal consumption of India for electricity in most recent year – 608 million tonnes and doubled in a decade. For the UK, total annual coal consumption for the most recent year – 15 million tonnes. Why do the wankerati even give a moment’s thought to the pathetic little trace of usage in the UK? On the grounds that every little bit helps? No, it does not! Not with India and China in the game. 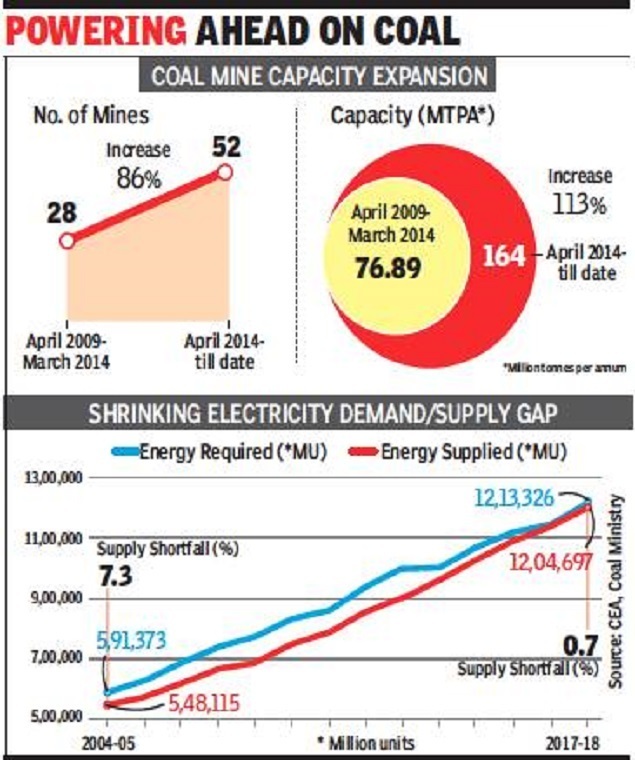 At our peak coal usage the mining was about 100m tonnes/year. A drop in the ocean yet still the most economical power source. Who is responsible now for planning future power security in the UK? The old CEGB had that responsibility many years ago, but who has it now? Actually, it was 292 million tonnes a year in 1913. The mining (all open cast) was 3 million tonnes in 2017. Paul: how do you access the yearly coal consumption data? If I click on your CEA executive summary link, I can only find details for November and December 2018? Click on the Dec 2018 one, and it opens up a pdf. Did you seriously expect it to stop? Or even to slow down? There is at least another twenty years of nonsense to come. And still the Synod of the Church of England wants to disinvest in fossil fuels. Do they understand about deaths from biomass cooking inhalation? Are they just THICK? All the divestment freaks are thick. They don’t understand that the companies couldn’t care less who owns their stock. If CoE sells it’s stock to Connie Herrara, the company doesn’t care. Phillip Bratby: oh dear, oh dear, how wrong can you be. In today’s Telegraph Silly Jilly reports Cuadrilla’s first release of testing data for its Preston New Road site. The well flowed 100 MCFD – terrible but admittedly with a restrained frack. A viable US Marcellus shale flows about 600 MCFD. Jilly quotes Francis Egan, Cuadrilla CEO, as saying that if seismic restraints were relaxed he expected 3m to 8m cfd. If the “m” refers to millions that is pure fantasy. If it refers to thousands there is no way that production will be commercialy viable . As I have posted on numerous occasions permeability is paramount and its not looking good so far. Coal anyone? A lot more is needed for full electrication. Modi has a curious way of defining when a community is “electrified”. It is when 10% of the residents have access. Poles may be there but not all homes have supplies. There is a fascinating “underground” system in India where many people “steal” electricity by throwing connections onto the overhead lines to power their homes. There are many great photos of these networks that are taken down when the inspectors visit. 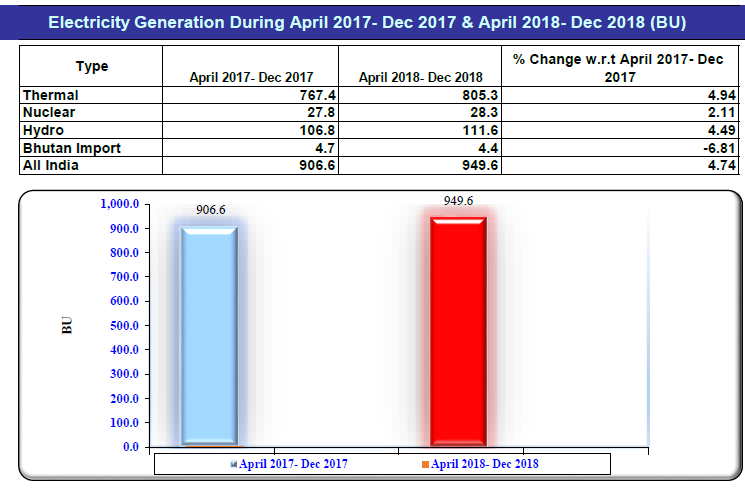 So, power is actually more available than the official figures show, but still a long way to go and a lot more coal to be burned!